GitHub repositories can be accessed from both Git and Subversion (SVN) clients. This article covers using a Subversion client on GitHub and some common problems that you might run into. GitHub supports Subversion clients via the HTTPS protocol. We use a Subversion bridge to communicate svn commands to GitHub. The first thing you'll want to do is a Subversion checkout. Since Git clones keep the working directory (where you edit files) separate from the repository data, there is only one branch in the working directory at a time. Subversion checkouts are different: they mix the repository data in the working directories, so there is a working directory for each branch and tag you've checked out. For repositories with many branches and tags, checking out everything can be a bandwidth burden, so you should start with a partial checkout. Under the repository name, click Clone or download. In the Clone with HTTPs section, click to copy the clone URL for the repository. Get the trunk branch. The Subversion bridge maps trunk to the Git HEAD branch (which is usually master). Get an empty checkout of the branches directory. This is where all of the non-HEAD branches live, and where you'll be making feature branches. 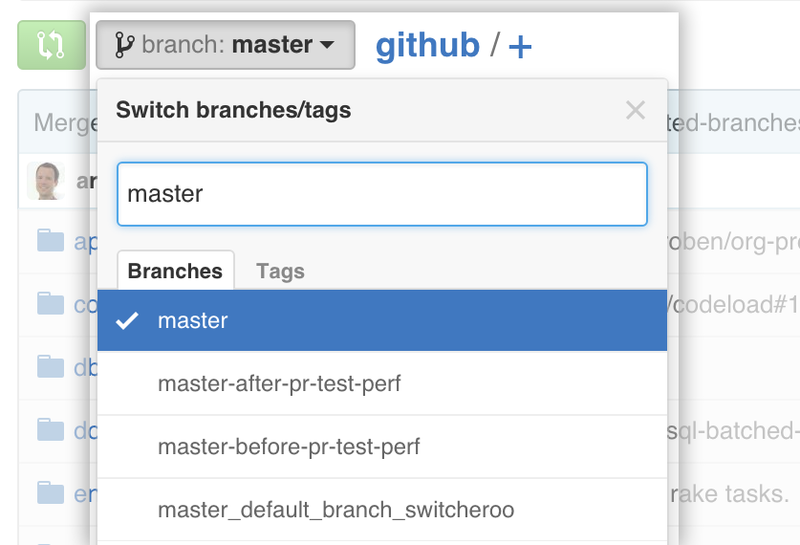 You can also create branches using the Subversion bridge to GitHub. GitHub's Subversion server exposes the Git commit sha for each Subversion commit. To see the commit SHA, you should ask for the git-commit unversioned remote property. With this commit SHA, you can, for example, look up the corresponding Git commit on GitHub. "Subversion properties supported by GitHub"